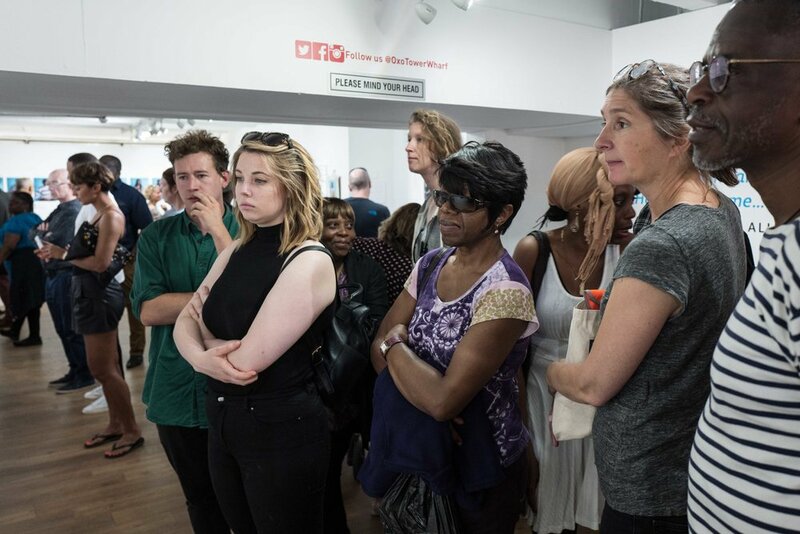 A few images of visitors immersing themselves in the exhibition at the Oxo gallery. 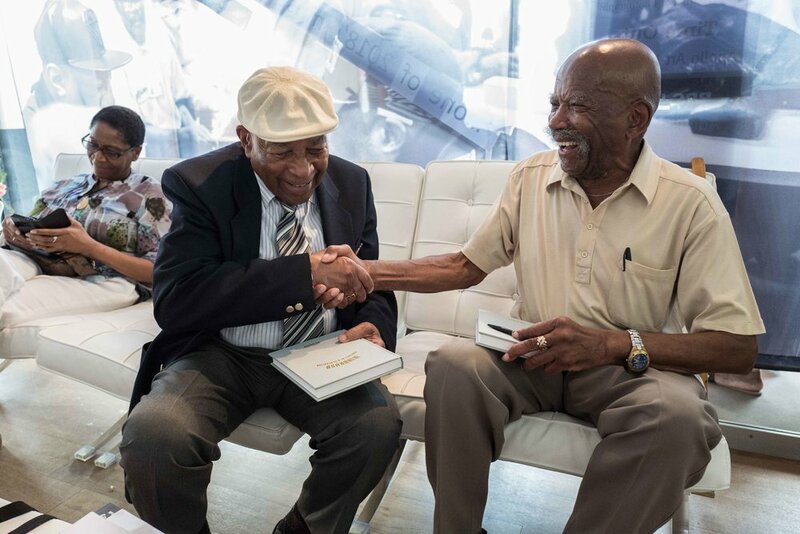 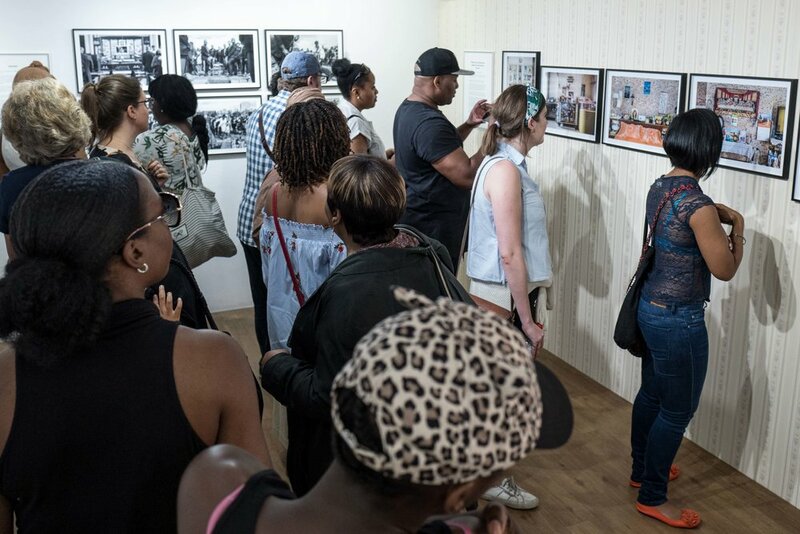 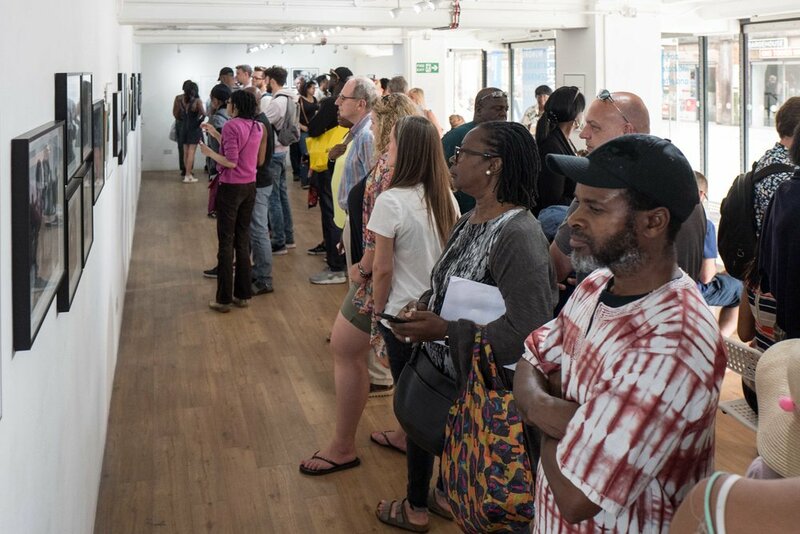 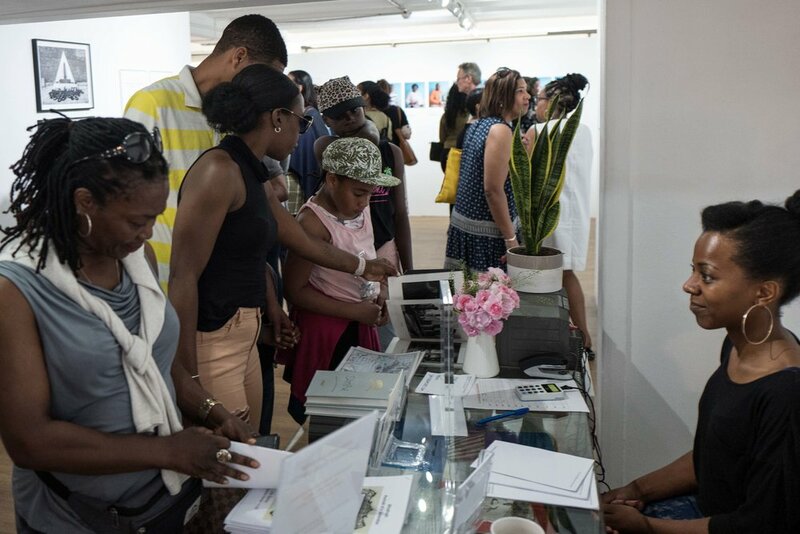 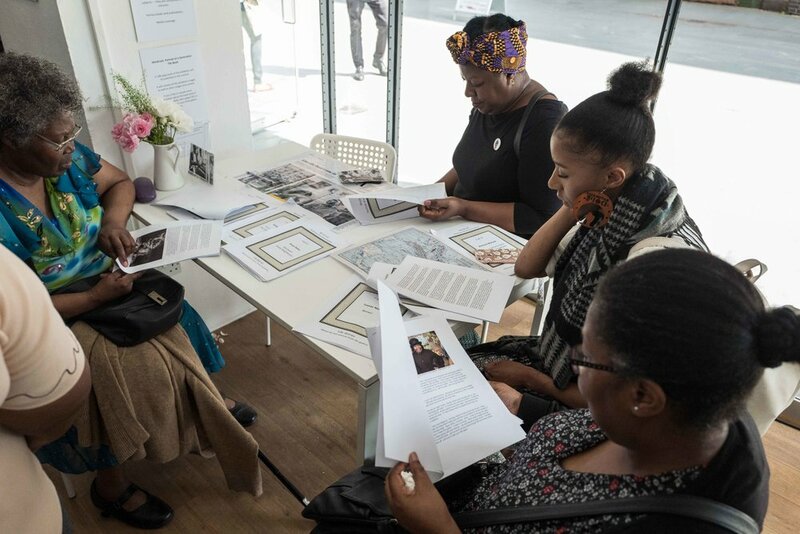 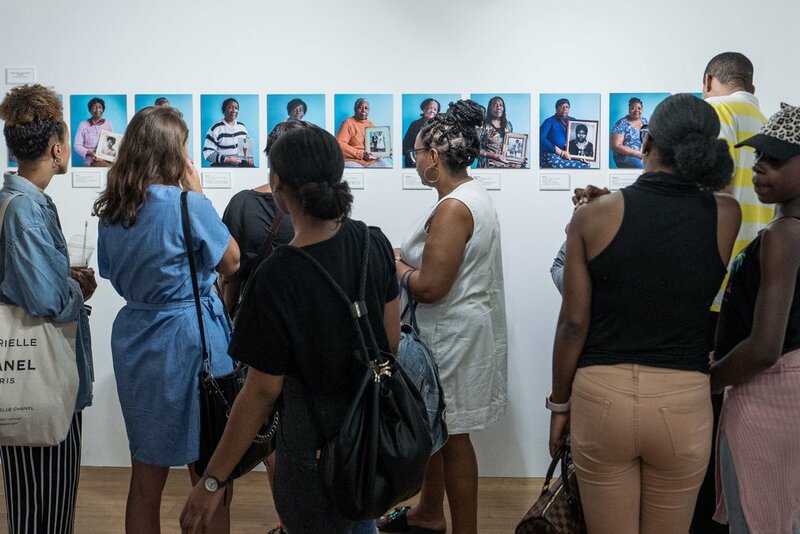 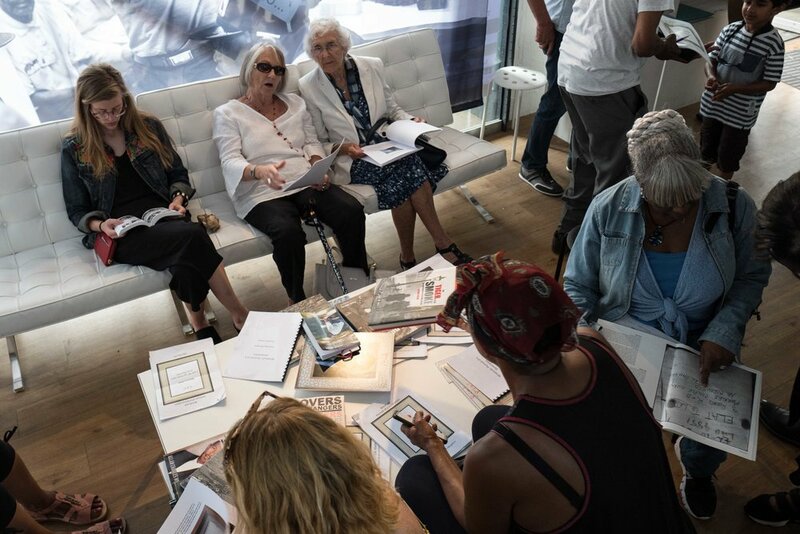 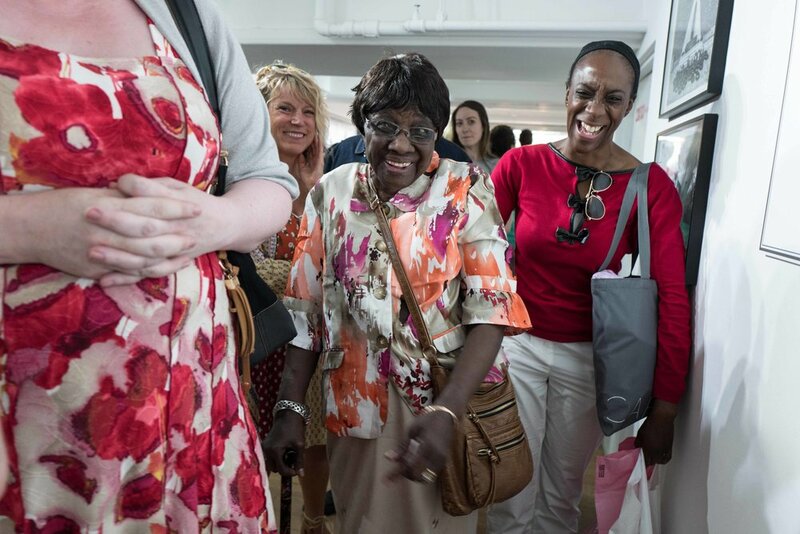 Visitors of all ages came along to view the images, read the life stories, watch the iMac slideshows, and meet Alford Gardner at the week-ends (who features in the exhibition and who was a passenger on SS Empire Windrush in 1948). 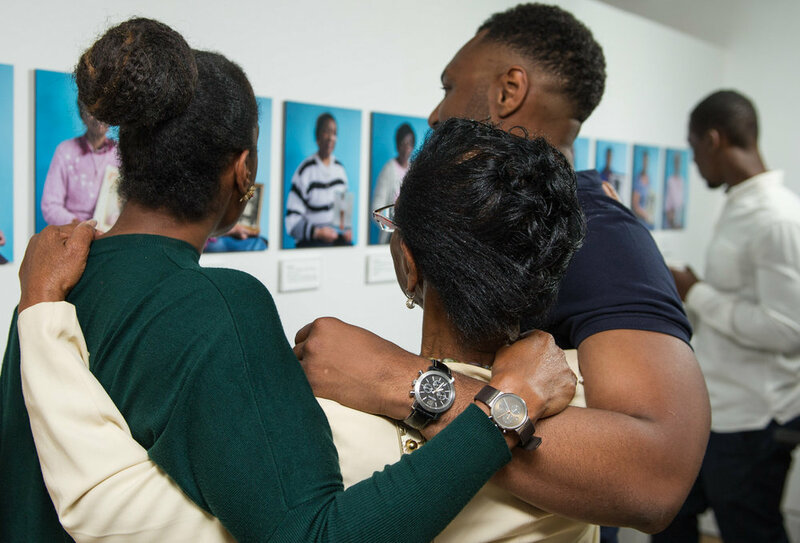 Families spanning three generations came along together; strangers started to talk to each other as they shared memories; and emotions were intense, ranging from laughter to tears.